If you find yourself trying to deal with some serious money problems, here’s how to manage them. The best place to start is by creating a budget. This will make you aware of exactly how much money you have, and what you can do with it. If you're struggling with debt, a budget can help you organize how much you pay off, while also having enough to get through each month. By identifying the financial areas that are causing you the most worry, it will highlight what things you need to deal with first. So you may need to save up for something medical, or maybe you need to get serious about saving for your retirement. Whatever it may be, write it down. Seeing it on paper in front of you will help give you ideas of how you're going to tackle the issue. There are some situations that will require outside help, so you should figure out what you can actually change yourself first. Maybe it's just little things like keeping the heating off in your house, or how you use your phone without running up your bill every month. There are simple solutions for things like this, like for contract phones no credit check via zaggor.com. This is perfect if you have a poor credit score but need a cell in order to work or communicate. 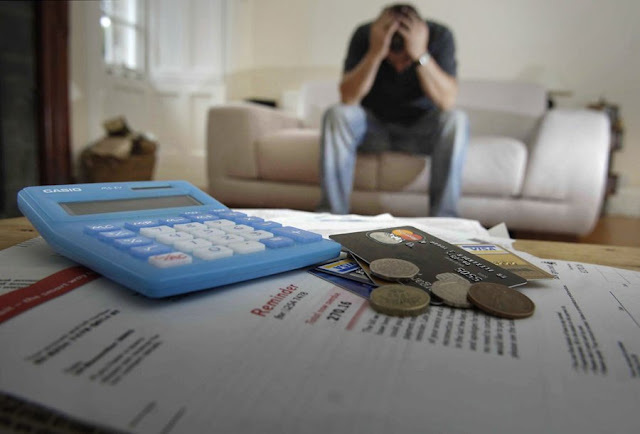 Money issues can really bring you down and make you feel very low. It can cause you to become stressed, and even the little things will be hard to focus on. But what you need to remember is that it's just money, and there are so many other serious things in the world to worry about, so instead of focusing on the negative, look out for the positives. Like paying off your debt and watching it get smaller and smaller. Don't overspend and just ‘hope for the best’, be realistic with what you have, and manage it the right way. If you can't afford to buy that new gadget or get your hair done - don't do it. Sure, everyone likes to treat themselves once in awhile, but there are times in life where we just have to be responsible, and if that means no more nights out - so be it. Don't let yourself get all worked up if you're not able to sort out your money problems within a day. It's not one of those issues that can just magically disappear, so baby steps shouldn't be looked upon as a negative thing. You have to start somewhere, and as long as you're working towards paying off what needs to be paid off, you shouldn't have a problem. This doesn't just mean with yourself, but to your partner too. If you're in a relationship then don't let your money problems eat away at you, the more you keep in, the more you'll have to deal with alone, so it's okay to open up about it. You shouldn't feel embarrassed; it can happen to anyone.